Tony Goldwyn, Tatiana Maslany, & Bryan Cranston Step Out for Opening Night of 'Network' on Broadway! Tony Goldwyn, Tatiana Maslany, and Bryan Cranston buddy up on the red carpet at the opening night festivities of their Broadway show Network on Thursday night (December 6) at the Belasco Theatre in New York City. Also stepping out for the event was Bryan‘s wife Robin Deadren. The play is an adaptation of the Academy Award-winning film in which anchorman Howard Beale (Cranston) unravels live on-screen. But when the ratings soar, the network seizes on its newfound prophet, and Howard becomes the biggest thing on TV. Go check out Network on Broadway now! Neil Patrick Harris, Cristin Milioti, & More Attend Creative Arts Emmys 2018! 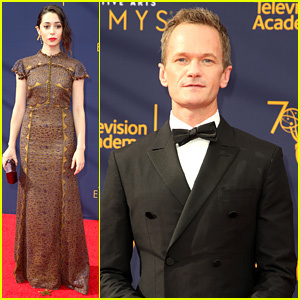 Neil Patrick Harris and Cristin Milioti walk the red carpet at the 2018 Creative Arts Emmy Awards on Saturday (September 8) in Los Angeles. The former How I Met Your Mother co-stars were among the many celebs at the event. Their co-star Alyson Hannigan was also there with husband Alexis Denisof. The cast of Fuller House – John Stamos (with wife Caitlin McHugh), Lori Loughlin, Bob Saget (wife fiancee Kelly Rizzo), Candace Cameron Bure, and Andrea Barber – posed for pics together. More stars there included Breaking Bad‘s Bryan Cranston (with wife Robin Dearden) and Giancarlo Esposito, Jane Lynch, Molly Shannon, Life in Pieces co-stars Thomas Sadoski and Besty Brandt, Vida co-stars Melissa Barerra and Mishel Prada, Westworld‘s Jimmi Simpson, The Sinner‘s Bill Pullman, One Day at a Time‘s Justina Machado, Grey’s Anatomy‘s Sarah Drew, and Riverdale‘s Madchen Amick. FYI: Neil is wearing an Ermenegildo Zegna tuxedo, To Boot New York shoes, and a The Tie Bar bow tie. Mishel is wearing a Blumarine gown and Ileana Makri jewelry. Melissa is wearing an Antonio Grimaldi gown with Marco Bicego and Djula white diamond rings. Jimmi is wearing Ermenegildo Zegna Couture. Lori is wearing a Jovani jumpsuit and Csarite Fine Jewelry by Dawes Design. Molly is wearing a Paule Ka gown. Cristin is wearing Jennifer Meyer jewelry. Thomas is wearing a Ted Baker London suit. 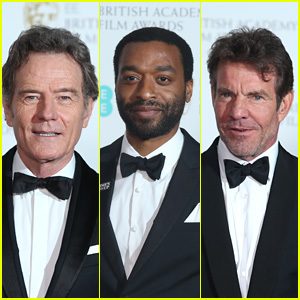 Bryan Cranston, Chiwetel Ejiofor and Dennis Quaid all look handsome on the red carpet at the 2018 EE British Academy Film Awards held at Royal Albert Hall on Sunday (February 18) in London, England. Bryan and Chiwetel also presented during the evening’s ceremony. Al Gore also walked the red carpet at the ceremony. Bryan posed with Allison Janney, as well as wife Robin Dearden on the red carpet. Chiwetel posed with girlfriend Frances Aaternir. Sir Patrick Stewart walked the red carpet as well, and posed for photos alongside Naomie Harris. Tom Hanks and his wife Rita Wilson enjoyed a date night together! The 61-year-old Sully actor and the My Big Fat Greek Wedding actress, also 61, were spotted dining at Giorgio Baldi on Saturday (December 2) in Santa Monica, Calif.
Tom looked sharp in a grey suit, while Rita donned head-to-toe black. They were joined by Bryan Cranston and his wife Robin Dearden, who could be seen in the back seat of Tom‘s car. 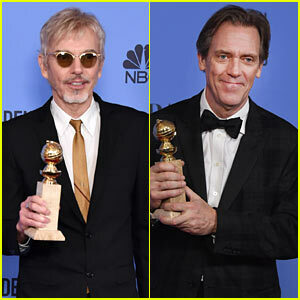 Billy Bob Thornton and Hugh Laurie made their TV shows proud tonight! 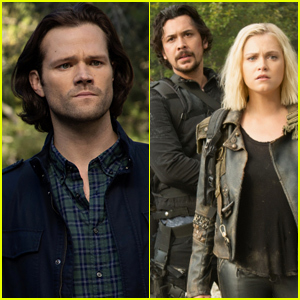 The actors both won big at the 2017 Golden Globe Awards held at the Beverly Hilton Hotel on Sunday (January 8) in Beverly Hills, Calif.
Billy won Best Actor in a Drama TV Series (for his role as Billy McBride in Goliath), and Hugh snagged the award for Best Supporting Actor in a Series, Miniseries, or Motion Picture for TV (for his role as Richard Onslow Roper in The Night Manager). Also spotted on the red carpet was nominee Bob Odenkirk, his wife Naomi Odenkirk, nominee Bryan Cranston, and his wife Robin Dearden. Watch Hugh react to the win below. Bryan Cranston suits up in style for the 2016 Emmy Awards held at the Microsoft Theater on Sunday (September 18) in Los Angeles. The 60-year-old actor was joined on the red carpet by his lovely wife Robin Dearden. 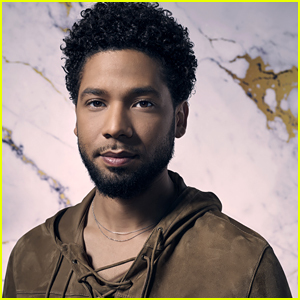 Bryan is nominated tonight for Outstanding Lead Actor in a Miniseries or a Movie for All the Way, which is also up for Outstanding Television Movie. Make sure to watch the Emmys, hosted by Jimmy Kimmel, TONIGHT at 7/6c on ABC! FYI: Bryan is wearing Burberry.